The membership cards are under distribution in grassroots structures nationwide. In preparation for the upcoming Sixth Ordinary Congress of the National Union for Democracy and Progress (NUDP) party built for February 2017, enthusiasm is building up in various grassroots structures following the launch of the distribution of computerized party cards. Several coordination teams could be seen in the party’s headquarters in Yaounde on August 14, 2016 collecting feedback from teams on the field on how the distribution process was unrolling. 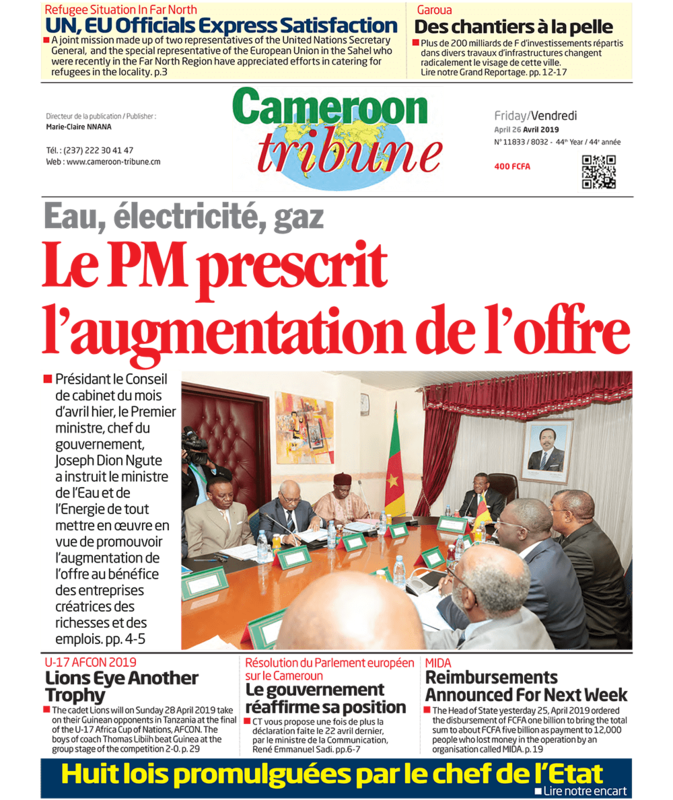 “The new party cards which concern new and old party militants will enable us know each militant’s grassroots structure as well as the latter’s membership strength,” the Director of the Party’s Headquarters, Kuma Peter Kombain told Cameroon Tribune. The headquarters had sent the new party cards to divisional federations of the party for transmission to sections, sub-sections and branches. “What is also innovative about these party cards is that they are sold at FCFA 200 which is retained by the grassroots structure as funding for activities. This explains the positive feedback we are having from the party base,” Kuma Peter Kombain further explained, adding that the party card fee is different from party contributions by militants which are categorised according to the status of the militants. Meanwhile, the upcoming 6th Ordinary Congress is taken seriously as it will hold just a year away from the 2017 Presidential elections. “We are working hard to ensure that delegates have a free stay in Yaounde during the Congress,” said the Headquarters Director. In line with the newfound dynamism blowing across the party, the headquarters that he heads has received a new coat of green-white paint which makes it visible in the Elig-Essono neighbourhood. As preparations gear up for the Congress, the headquarters serves as a link between the National Chairman, the Secretary General and the grassroots structures. Other upcoming activities such as training for party youths and women in income-generating activities await, funding from the party’s elected officials and persons of goodwill to give up.